Under the direction and supervision of qualified professional registered nurses and in accordance with established procedures and aseptic principles, the Surgical Technologist is responsible for the set-up and maintenance of the surgical field and will assist the surgeon during operative procedures. Possesses the ability to scrub all cases in all services and demonstrates knowledge of instrumentation, their uses, and accurate methods of sterilization and maintains an aseptic controlled environment. Assists in processes to streamline care, reduce inefficiency, improve quality, and reduce costs. Supports the philosophy and goals of OSS Orthopaedic Hospital. Certification as a Surgical Technologist required. BLS certification required or an ability to obtain within (1) year. Surgical Tech I – prior experience as a surgical tech strongly preferred. Surgical Tech II – at least (3) years of experience as a surgical tech required. Ability to effectively and efficiently make use of time and resources. Must be able to plan and organize work. Must have professional and effective communication skills and be able to promote effective communication at all levels. Knowledge of medical terminology required. 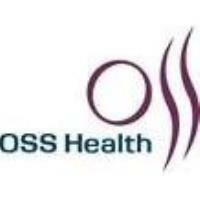 To view and apply for our job opportunities, please go to our website osshealth.com and select - Join our Team!